an entire series of legally compliant claims in Grow! · Balanced ingredients make NingXia Red a whole-body nutrient infusion for health and wellness support. · Supports normal cellular function. · Contains powerful ingredients that are involved in many natural antioxidant processes. · Supports good health and overall wellness. · Supports whole-body health support. · Supports normal eye health. 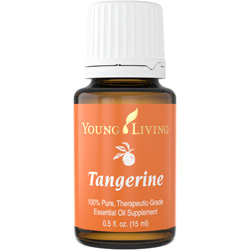 · Delivers citrus essential oils containing d-limonene, a powerful component in citrus oils. · Formulated from exotic fruits. · Powerful formula includes wolfberry, which is touted for its health benefits. 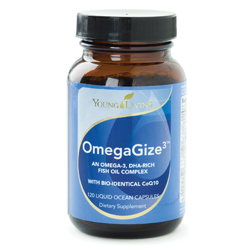 · Helps prevent against oxidative stress. · May be added to your favorite skin care products and applied topically. · Powerful aroma creates a relaxing, calming, and comforting atmosphere when diffused. · Aroma allows you to enjoy the outdoors annoyance-free. · Massage into scalp for appearance of healthy-looking hair. · Use for massage after activity. · Inhale for an invigorating and energizing scent. · Keep on hand for use at the gym to apply during workout. · Blended with Peppermint, Deep Relief has a cooling sensation when applied to the skin. · Aroma is relaxing and calming. · Apply to temples, forehead, and back of neck. · Formulated with Peppermint, Wintergreen, Copaiba, and Helichrysum. · Diffuse during meditation for grounding and purpose. · May help smooth the appearance of healthy-looking skin. · Key ingredient in many products, including Boswellia Wrinkle Cream™, Brain Power™, Awaken™, Highest Potential™, and Forgiveness™. 1. Powered by Thieves essential oil blend for incredibly clean teeth and gums. 2. Cool, invigorating taste with Peppermint and Spearmint essential oils for long-lasting fresh breath. 3. Contains naturally derived ingredients that leave your whole mouth feeling fresh. 4. No alcohol, synthetic dyes, or artificial flavors. 5. Valuable addition to complete your oral hygiene routine. · Naturally derived, plant­-based ingredients for a safer way to clean and purify your home. · Supports body and mind. · Contains naturally occurring caffeine and Bioenergy's D­-Ribose to increase athletic performance and endurance. · Boosts energy and provides a daily pick-­me-­up. · Bioenergy D-Ribose supports physical performance and recovery and increases overall energy reserves. · Add to a gel capsule. · The use of fennel dates back to the ancient Egyptians. · Use with every meal along with Essentialzyme­s-4™ to support a wellness regimen. · Add 2­–3 drops to honey for a tasty snack. · Includes the naturally occurring constituents menthol, citrol, and zingiberene. · Upholds Young Living’s Seed to Seal® process. · Di­Gize is one of Young Living's unique and proprietary blends. 1. Discover a new level of clean with baking soda plus the power of Thieves. 2. Naturally derived ingredients gently lift stains for vivid, brilliantly clean teeth. 3. Peppermint and Wintergreen oils combine for a refreshing flavor. 4. No fluoride, synthetic dyes, or preservatives. 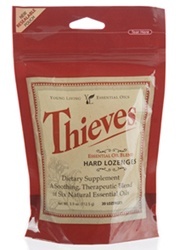 · Harnesses the power of Thieves essential oil blend for extra clean teeth and gums. · Gently removes stains with the help of natural abrasives. · Polishes and brightens the appearance of teeth for a sparkling smile. · Peppermint and Spearmint oils combine for a minty-­fresh flavor and long-lasting fresh breath. · No fluoride, synthetic dyes, or preservatives. 1. 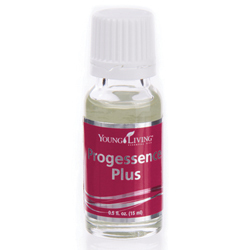 Progessence Plus is a serum designed specifically for women. 2. Wild yam and vitamin E support healthy-looking skin. 3. Frankincense essential oil may help smooth the appearance of fine lines for a more youthful look. 4. Add to your daily skin care regimen to promote attractiveness and improve the overall appearance of your skin. 2. Includes the naturally occurring constituent carvacrol. 3. May be used to enhance the flavor of foods. 4. Important ingredient in ImmuPower™ and the Raindrop Technique®. 1. Peppermint oil provides a cool, stimulating flavor for ultra-fresh breath. 2. Gently removes stains to reveal a brighter, more radiant smile. 3. Includes Thieves essential oil blend for extra cleaning power. 4. Naturally derived ingredients make this toothpaste a great alternative to commercial brands. 5. Contains no fluoride, synthetic dyes, or preservatives. 1. Powered by Thieves essential oil blend for extra strength and effectiveness. 2. Provides lasting results you can feel. 3. Naturally derived ingredients are potent yet gentle on the stomach. 4. Contains no artificial flavors, dyes, or preservatives. 5. Has a refreshing lemon-mint flavor. 6. Perfect to carry in your car, purse, or backpack for use on the go. 4. Contains no fluoride, synthetic dyes, or preservatives. 1. When diffused, Citrus Fresh creates a clean, fresh scent in any environment. 2. Add to YL lotions or Bath & Shower Gel Base to create an uplifting aromatic experience. 3. Add to laundry for a revitalizing aroma. 4. May be worn topically as a perfume or cologne to refresh and inspire. 5. Maintains the appearance of healthy, toned skin. 6. Great for topical application to beautify the skin. 7. Add to Thieves Household Cleaner to enhance the aroma. 8. Includes the naturally occurring constituents of limonene, beta pinene, and linalol. 1. 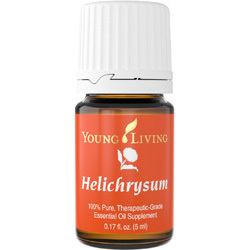 This beautiful blend of essential oils harmonizes and has a joyful aroma. 2. Inspires a romantic, aromatic atmosphere. 3. When diffused, it creates a warm, comforting environment. 4. Add to a YL lotion or moisturizer to beautify and enhance the appearance of the skin. 5. Add to YL Bath & Shower Gel Base to relax and calm as you unwind from a long day. 6. When worn as cologne or perfume, Joy exudes an alluring and irresistible fragrance that inspires romance and togetherness. 1. A best-selling blend formulated by D. Gary Young. 2. Apply topically after exercise. 3. Supports the appearance of healthy skin coloration. 4. Add to V-6™ Vegetable Oil Complex and apply to neck and back for a soothing aromatic experience. 5. Has a stimulating aroma. 6. Includes the naturally occurring constituents of methyl salicylate, gamma-curcumene, menthol, and eugenol. · Has a clean, nurturing aroma. · Provides a comforting aroma when applied to neck and chest. · Diffuse to create a calm and relaxing aromatic environment. · Aromatherapy practices include topical application to the solar plexus Vita Flex points. · A unique, proprietary Young Living blend developed by D. Gary Young. · Includes the naturally occurring constituents menthol, l-carvone, zingiberene, linalool, and ocimene. · May support overall wellness. · Clove is a spice that has been used traditionally for thousands of years. · Provides a rich and spicy addition when cooking or baking. · Includes the naturally occurring constituent eugenol. · An important ingredient in many products, including Thieves®, ImmuPower™, Inner Defense™, and Longevity™. · Helps maintain a healthy lifestyle regimen. · Cinnamon is a spice that has been used traditionally for thousands of years. · Provides a spicy and delicious addition when cooking or baking. · Includes the naturally occurring constituent cinnamaldehyde. · An important ingredient in many products, including Thieves, Abundance™, and Inner Defense. · Has a mildly pungent and sweet, fruity aroma. · Useful for massage after activity. · Diffuse for a stimulating and rejuvenating environment. · Use in your favorite household cleaners. · Includes the naturally occurring constituents 1,8 cineole and eucalyptol. · An important ingredient in Breathe Again™, Thieves, R.C.™, Inner Defense, and Ortho Ease®. · Helps support a healthy lifestyle regimen. · Provides a savory addition to many meats marinades, side dishes, and dressings. · Includes the naturally occurring constituents eucalyptol and alpha-pinene. · An important ingredient in many products, including Thieves, En-R-Gee™, JuvaFlex®, Essentialzymes-4™, and Inner Defense. · Has a rich, sweet, floral scent that is pleasing and romantic. · Diffuse to enjoy a relaxing and romantic aroma. · Inhale the peaceful aroma to enjoy a confidence-inspiring aroma. · Massage into scalp to increase the appearance of healthy, shiny hair. · Found in many Young Living skin and hair care products and other products, including Awaken™, Believe™, Clarity™, Dragon Time™, Peace & Calming®, and Forgiveness™. · Includes the naturally occurring constituent estragole. · Use to enhance the flavor of savory recipes. · An important ingredient in DiGize™, Allerzyme™, ComforTone™, Essentialzymes-4, and ICP™. · Maintains a healthy lifestyle regimen. · Includes naturally occurring limonene. · Provides a bright, citrus flavor addition to foods and water. · An important ingredient in Citrus Fresh™, Joy™, Inner Child™, Peace & Calming, NingXia Red®, Slique Essence™, and Super C™. · Includes naturally occurring carvone and limonene. · An important ingredient in many products, including Citrus Fresh, EndoFlex™, GLF™, NingXia Nitro™, and Thyromin™. · May improve the appearance of dry, chapped skin. · May be added to your favorite skin care products. · Diffuse for a calming, relaxing, peaceful, and loving atmosphere. · Includes the naturally occurring constituents patchoulol, bulnesene, and alpha-guaiene. · An important ingredient in DiGize, Abundance, Peace & Calming, Live with Passion™, Magnify Your Purpose™, and Allerzyme™. * These statements have not been evaluated by the Food and Drug Administration. Young Living products are not intended to diagnose, cure, treat or prevent any disease. Diffuse for a comforting and calming scent. Unwind by adding a few drops to a nighttime bath. May complement some of your favorite shampoos, lotions, or skin care products. Is a key ingredient in many blends, including Stress Away™, Tranquil™, RutaVaLa™, Forgiveness™, and Harmony™. Is a key ingredient in DiGize™. Includes the naturally occurring constituent limonene. Enhances the flavor of foods and water. Is a key ingredient in Thieves®, NingXia Red®, and Inner Defense™. Is an important ingredient in Slique Essence™ and Power Meal™. 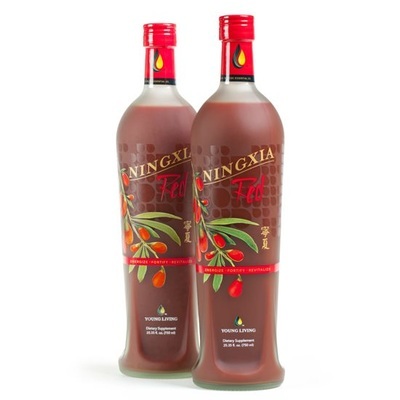 Is an important ingredient in many products, including NingXia Red® and ImmuPro™. Is an important ingredient in DiGize™, Esentialzymes-4™, ICP™, and MultiGreens™. Helps create a calming and relaxing environment. Offers a peaceful aroma for yoga and meditation when diffused. Diffuse for a peaceful and relaxing atmosphere in the evening. Rub 3 drops on feet before bedtime. Use in place of Aroma Siez™ in the Raindrop Technique®. Add to V-6™ Vegetable Oil Complex to create a spa-like, soothing atmosphere with massage. Rub on feet or chest before exercising to uplift and inspire. Includes the naturally occurring compounds linalol acetate, linalol, camphene, and eucalyptol. Add to V-6™ Vegetable Oil Complex to complement a soothing and relaxing foot massage. Add to Young Living Bath & Shower Gel Base or 4 drops to a cup of Epsom salt for a soothing foot soak. Add to distilled water in a small spray bottle and use when traveling to freshen the air. Add to Animal Scents™ product to moisturize skin and improve appearance for healthy looking skin. Apply topically to enjoy the outdoors annoyance free. Includes the naturally occurring compounds cineol, neral, and geranial. Has a woodsy and refreshing aroma. Diffuse for a grounding, relaxing, and calming aroma. Used in meditation for increased spirituality. Includes the naturally occurring constituents beta-pinene and camphene. An important ingredient in many products, including, Animal Scents™ Ointment, Deep Relief™ Roll-On, Believe™, Gratitude™, and BLM™. Diffuse for a cleansing and refreshing atmosphere. Inhale the inspiring and uplifting fragrance. Use for massage after activity. Includes the naturally occurring constituents limonene and alpha-terpineol. An important ingredient in Transformation™ essential oil blend. Has an earthy, sweet, woodsy aroma. This species of Juniper oil is native to the southwestern United States and is distinctive to Young Living. An important ingredient in many products, including Awaken™, DiGize™, Grounding™, Allerzyme®, K&B™, Cel-Lite Magic™ massage oil and Morning Start® Bath & Body Gel. Diffuse this clarifying and grounding fragrance. A great oil to diffuse when studying or doing homework. This oil has a stimulating aroma that no home should be without. Apply topically to improve the appearance of tender skin. Includes the naturally occurring constituents neryl acetate, gamma-curcumene, and alpha-pinene. An important ingredient in oil blends, including Awaken, Brain Power™, Deep Relief Roll-On, Forgiveness™, PanAway®, and Trauma Life™. May be an important part of a daily health regimen. Includes the naturally occurring constituents beta-caryophyllene and alpha-humulene. Its refreshing, minty, sweet aroma is stimulating and invigorating. Great addition to lotions and ointments that are applied after activity. An important ingredient in Deep Relief Roll-On, Ortho Ease® massage oil, Ortho Sport® massage oil, PanAway®, and BLM. Has an earthy and grounding aroma. Diffuse this calming and relaxing fragrance. Includes the naturally occurring constituent isovalencenol, khusimol, and beta-vetivone. Included in ART® Crème Masque, Melaleuca-Geranium Moisturizing Soap, Inspiration™, Lady Sclareol™, and SleepEssence™. In some cultures, Fennel seeds are chewed after meals. May be a flavorful addition to savory recipes. Includes the naturally occurring constituents trans-anethole and fenchone. Included in DiGize™, JuvaFlex™, Detoxzyme®, Digest & Cleanse™, and Essentialzymes-4™. Has a refreshing and uplifting fragrance. Diffuse indoors and outdoors to freshen and eliminate odors. Includes the naturally occurring constituents geraniol, limonene, and geranyl acetate. Included in Purification®, RepelAroma™, (Animal Scents™ Care Collection) and Animal Scents Shampoo. Use as a flavorful addition to savory dishes. 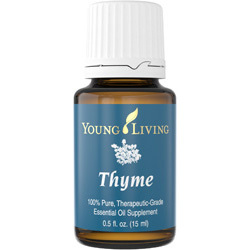 Includes the naturally occurring constituents thymol, para-cymene, and gamma-terpinene. An important ingredient in Inner Defense™, Longevity™, ParaFree™, and Rehemogen™. Is a fresh and herby addition to salad dressings, sauces, and marinades. Includes the naturally occurring constituents methylchavicol, linanlool, and eucalyptol. Included in Aroma Siez, Clarity™, M-Grain™, and the Raindrop Technique®. · Calming and soothing aroma. · Apply topically to experience an uplifting fragrance. · Diffuse for an inspiring aroma. · Add 15–20 drops to V-6™ Vegetable Oil Complex and use for a relaxing foot massage. · Includes naturally occurring consitutents of Linalol, Alpha-pinene, Camphene, and Limonene. Young Living Founder D. Gary Young specially formulated Valor II™ essential oil blend as his recommended option and alternate to Valor®. He handpicked this new formulation to stay true to the original constituent character of its predecessor and offer the same great experience. Valor II includes Young Living’s exclusive Northern Lights Black Spruce and Idaho Blue Spruce essential oils, along with Ylang Ylang, Frankincense, Vetiver, Cistus, Bergamot, Cassia, German Chamomile, and other oils. 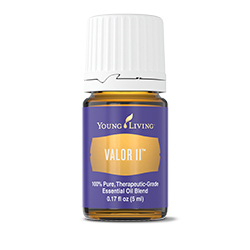 Diffuse Valor II for an inspiring and calming aroma or apply topically to experience this uplifting fragrance. Valor II includes the naturally occurring constituents linalol, alpha-pinene, camphene, and limonene. Along with Valor, you’ll now have two unique and powerful options that can be used individually or together for a complementary experience! With a combination of powerful, mood-supporting B vitamins, Super B™ can support normal cardiovascular health and energy levels, while promoting healthy cognitive function. · The gentle aroma of Peace & Calming II™ encourages relaxation. · Beautifies the appearance of skin when applied topically. · Can be diluted and applied topically to moisturize skin. · Creates a refreshing and relaxing atmosphere when diffused. · Includes the naturally occurring constituents Germacrene D, Linalol, Alpha-pinene, and Bisabolol. Young Living Founder D. Gary Young specially formulated Peace & Calming II essential oil blend as his recommended option and alternate to Peace & Calming®. He handpicked this new formulation to stay true to the original constituent character of its predecessor and offer the same great experience. The gentle aroma of Peace & Calming II includes Tangerine, Orange, Ylang Ylang, Patchouli, German Chamomile, Vetiver, Cistus, Bergamot, Cassia, Davana, and Young Living’s exclusive Northern Lights Black Spruce essential oils. This proprietary blend creates a relaxing and pleasant aroma when diffused. Dilute and apply topically to moisturize and beautify the appearance of skin. Peace & Calming II includes the naturally occurring constituents germacrene D, linalol, alpha-pinene, and bisabolol. Along with Peace & Calming, you’ll now have two unique and powerful options that can be used individually or together for a complementary experience! · Important ingredient in Freedom Sleep™ and Freedom Release kits, Common Sense™, RutaVaLa™, Progessence® Plus essential oils and Sheerlume™. Sacred Frankincense is versatile for both topical and aromatic uses. Diffuse Sacred Frankincense to elevate meditation and other sacred moments, or to enjoy an aroma that is grounding, inspiring, and uplifting. An important ingredient in Sheerlume, it is also perfect for apply to skin to maintain its healthy-looking, radiant appearance. · Add 2–3 Drops to glass of water to enhance flavor. · Includes the naturally occurring constituents beta-caryophyllene, alpha-humulene, limonene, cedrol, and linalool. With the sweet, pleasant flavors of Lime essential oil and vanilla, Stress Away™ is a great addition to a glass of water to promote wellness and support your daily health regimen. · Included in Purification® and Melrose™ essential oil blends, Animal Scents® and Rose Ointment™ and ClaraDerm™. With a fresh, crisp aroma, Tea Tree essential oil is an important oil in Purification and Melrose essential oil blends, as well as Animal scents ointment, Rose ointment, and ClaraDerm. When applied topically, Tea Tree can help maintain healthy-looking hair and scalp, reduce the appearance of blemishes, and can be applied to feet and toenails as needed. Combining four powerful varieties of eucalyptus essential oils, Breathe Again™ Roll-On has a fresh aroma that has an invigorating and refreshing aroma. Its convenient roll-on bottle makes it easy to apply to the head, neck, chest, or under the nose to enjoy its aroma. · Diffuse to create an inspiring aroma. · Uplifting fragrance is great for home, office, or on the go. · Apply topically to moisturize skin. · An inspired blend with a rich, invigorating scent. · Includes naturally occurring constituents of cedrol, alpha-pinene, guaiol, and linlool. A member-favorite blend with a rich, invigorating scent, Brain Power™ is perfect for diffusing to enjoy its inspiring aroma in the home, office, or on the go. Apply Brain Power topically to moisturize the skin and enjoy its inspiring scent anywhere!